Nordic GPP: Poles by Aurelian Sports | Polefitness, poledance, aerial och chair danskurser i Stockholm -Välkommen till Dancing Queen! We are proud and honored that the competitors of NGPP will compete on the same poles as in the World Pole Sports Championships in London 2014. 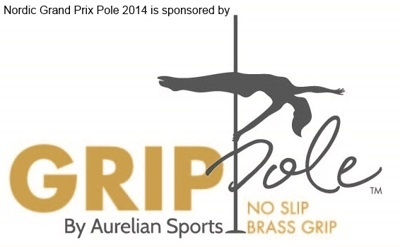 Aurelians Sports have developed the Grip Pole made from brass to give the competitors a supreme grip!